Cheap Ethnic Eatz is hosting Food ‘n Flix this month. As you may (or may not) know, Food ‘n Flix is a foodie blogger club. Each month a member chooses a food-centric film. Members watch the film and become inspired. Evalyne of Cheap Ethnic Eatz chose Bridesmaids. 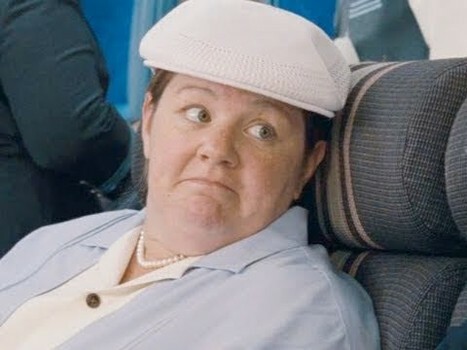 Yes, you read that right, Bridesmaids. I had not seen this film. I like to keep culturally literate so I was aware about the, ahem, “can’t make it to the bathroom” scene. That is all I knew about this film (along with it supposedly being hilarious). Yep, it is hilarious and that aforementioned scene is as gross (and funny) as you can imagine. This film covers most any imagined disaster that could occur during wedding and shower planning. Let me segue a bit here and talk about my own Bridesmaids-like experience. No, I didn’t get food poisoning or have to crap in the middle of a street but I did have to deal with a wedding from hell. My good friend from college was getting married in a faraway state. (No names will be mentioned but the events retold here are such that if she were ever to come across this blog, I know she would recognize herself.) This was my first year of teaching so money was tight, but I was honored to be asked to be in the wedding party. She sent me the pattern number for the dress and the fabric—yes, I made my own dress. The fabric was black satin and remember this was 20++ years ago, so she was pretty cutting edge. I made the dress with mom’s help, pieced enough pennies together for the plane fare, and looked forward to sharing some girl time with one of my best friends. The bride and groom had the obligatory screaming fight two days before the wedding. The bridesmaids were there to help them mend fences. The groom’s family had pre-paid a guy named Guido (no, I am not making this up) for the reception venue, the cake, and for the wedding dinner. The day of the wedding, Guido skipped town. The florist showed up at the church to deliver flowers. She was wearing cut-offs and was drunk and had forgotten the mother-of-the-groom’s corsage. Unbeknownst to any of the female wedding party, the groom, his brother, and father had been hastily trying to find Guido. Finally, they were able to book the local Holiday Inn for the reception, find a caterer (from the hotel, I believe), and bribe someone to whip up a wedding cake. The ceremony went off without a hitch and we hustled the bride into the waiting limo and the arms of her new husband. He had to tell her that the reception would not be in a posh night spot but at the local Holiday Inn. Finally, tears were dried, dinner was served, and the cake was cut. As the DJ started to spin his tunes, someone told the bartender that the groom was underage. (There is another long story here but he was in fact almost 21.) The hotel shut the pre-paid bar down. All the guests had to crowd in the hotel lounge for drinks after that. I was never so glad to get back on a plane and leave this craziness behind. 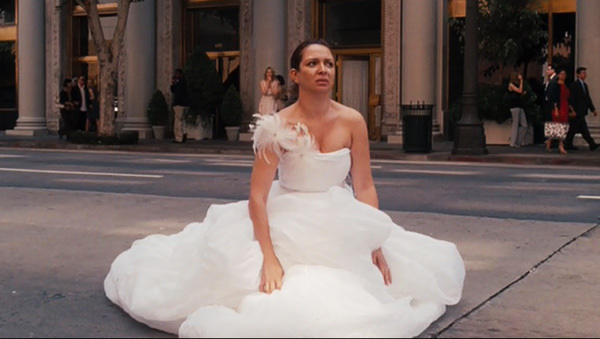 I was thinking of my own bridesmaid drama from this crazy wedding as I sat down to watch the film. After revisiting all this drama, I needed a laugh. But, I will finally get to my inspired dish. It could have been cream puffs or carrot cake or Brazilian food (er, or not). Instead, I chose lemonade—not any lemonade, mind you, but a frou-fou version that Helen might have served at the over-the-top Parisian shower. Bring 3 cups water to a boil in a saucepan. Remove from the heat and add the rosemary and a pinch of salt. Cover and steep, 30 minutes. Remove rosemary sprigs and let cool. In a pitcher, stir together the rosemary-steeped water, lemon juice, agave nectar and club soda into the pitcher. Add more lemon juice or agave nectar to taste. Serve over ice with more rosemary and/or lemon slices, if desired. This is a very light lemonade and it is really refreshing. I don’t like it sugary-sweet but feel free to add more if you like. This recipe could be the basis for all sorts of herb inspired lemonades using thyme, basil, mint or lavender. The possibilities are endless. If you’re a stressed bridesmaid or bride (or mother-of-the bride or groom or anyone else in the wedding party that is a little freaked out), then you might want to add a little “helper” to this libation. I am sure that Megan has a flask hidden somewhere. Stay tuned for the June flix, Moonstruck, hosted by little ol’ me. An announcement post is forthcoming. Ha ha ha loved your post and reading your (horrible) personal wedding party experience. 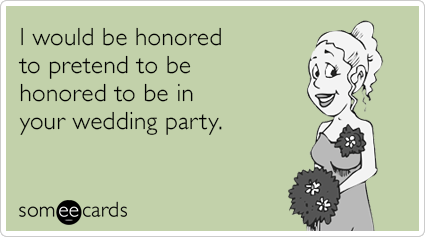 I am thankful my participation to a wedding this summer should be low key and less chaotic (fingers crossed). I think this lemonade is totally worthy of the bridal shower scene. Great choice! I know everyone will think I’m exaggerating, but I’m really not. That sounds like a fun film watching with gal friends. I would love to try this lemonade because I love rosemary. It is really delicious, Angie. Wow, now THAT was a wedding experience. I’ve never had anything like that (even remotely close) happen at the wedding’s I’ve been in or my own. In fact, mine was so uneventful that there are no stories, not a one. 🙁 The lemonade, of course, sounds fantastic. Well, I only have one story (no, wait, maybe two) from my own wedding. Your friend’s wedding was more interesting than the one in the movie (or at least I think so; I believe I’ve seen this movie, though maybe I’m confusing it with a similar one). 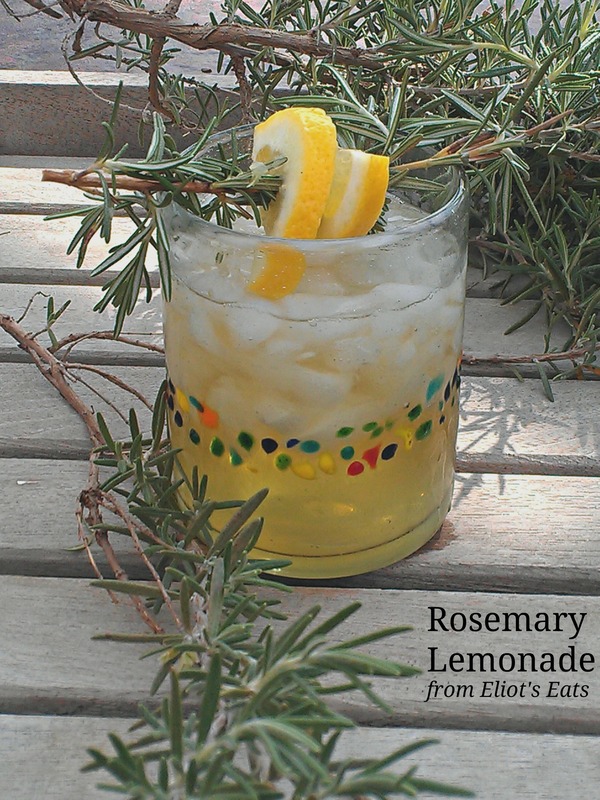 Fun post, and rosemary lemonade? Killer. Just love the idea. Thanks. Yes, looking back it is a bit hilarious. 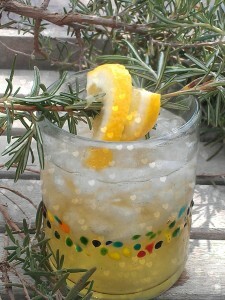 First off, your rosemary lemonade looks rustic beautiful. Something I would pin to my country board – love! The ingredients are gorgeous too. I’m equally thrilled to have a movie reco (gross scenes and all) with the hubby away in Europe for a couple weeks, I project some cuddle time with my doggie in front of the screen this memorial day long weekend 🙂 And as for the wedding you attended, all I can say is send it to Hollywood — I think there’s another blockbuster in the making!! :O. And as I ponder the events from two and a half decades ago, I am actually remembering more details…..is there a Bridesmaid II yet? What a crazy wedding experience. Hope your own went a lot smoother! Yes, thanks Chris, our own was much smoother but not without one weird event….a story for another day perhaps. I love this recipe – I have some rosemary left over from a dish and I am making lemonade from some Meyer Lemons I squeezed a few weeks ago and then froze…………..Your wedding story is pretty hilarious! I can truthfully say all the ones I have attended have been pretty tame compared to that one! Thanks, Kelli. Hope you like it. Yes, that wedding will go down in my history. 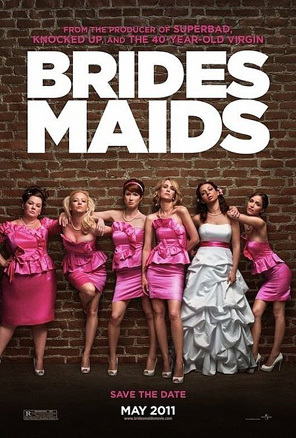 Oh my goodness, they should make a movie about your friends wedding LOL. Ha! Oh my gosh, that is an AWESOME wedding story (you know, since I wasn’t involved). I don’t have any fun wedding stories, but I wish I did. This lemonade sounds stellar…with or without a helper (but you know I’d totally choose with). And I’m right there with you on MM – she’s amazing! G’day and a great lemonade and post for Evelyne’s hosting of Food ‘n Flix movie challenge this month! 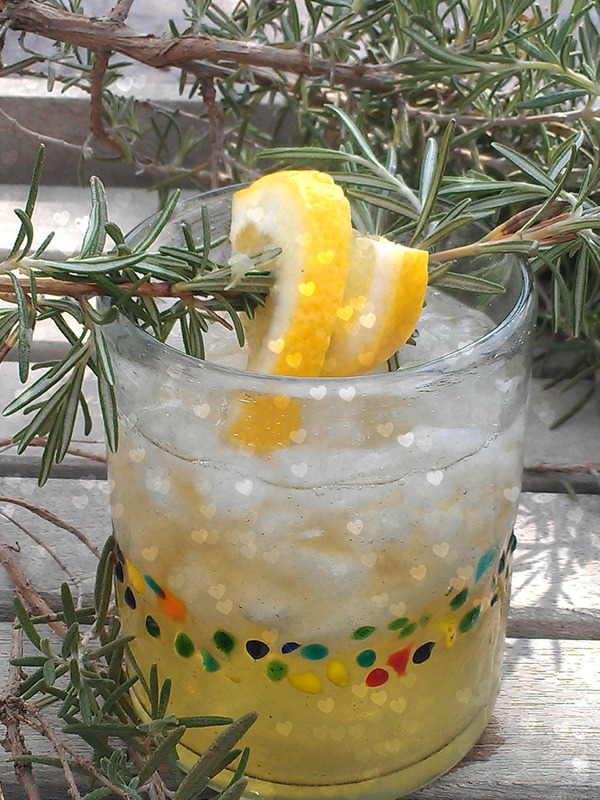 Rosemary lemonade is perfect (and looks perfectly refreshing). I am with Heather, add some ‘helper’ to my glass too please!! I should submit a sequel screenplay! Thanks, Deb. Oh no, that wedding sounds AWFUL. Your poor friend! That is some fancy lemonade, pour me a glass!